BEIJING (AP) — China has reached out to the U.S. over reports that the Department of Justice has ordered two top Chinese state-run news outlets to register as foreign agents, a spokesman said Wednesday, adding that Beijing opposed “politicizing” the role of the media. Foreign Ministry spokesman Geng Shuang said that Beijing had “contacted and communicated” with the U.S. side over the issue, but gave no details. The Wall Street Journal said Tuesday that the Xinhua News Agency and CGTN, the international arm of state broadcaster CCTV, had been told in recent weeks to register as foreign agents amid growing scrutiny of efforts by overseas media organizations to influence U.S. public opinion. The demand was also reported by Bloomberg News. Registering with the Foreign Agents Registration Act, or FARA, would put Xinhua and CGTN in the same legal category as lobbyists working for overseas entities and could cause them to lose their congressional press credentials, as happened to the U.S. affiliate of Russia’s state-run RT television network, the Journal reported. The U.S. broadcaster for Russia’s government-controlled Sputnik Radio also registered under FARA. Both Russian outlets had been accused by U.S. intelligence of being part of a Moscow-led effort to interfere in the 2016 presidential election. Following that, in January a letter from a bipartisan group of senators including Marco Rubio and Patrick Leahy called on the Justice Department to provide information on state-run Chinese media operating in the U.S., including Xinhua, which is directly under the control of the State Council, China’s Cabinet, and exists to produce news reports, distribute propaganda and collect intelligence. “A sensible step for the United States government to take is appropriately enforcing existing laws, such as FARA, designed to protect against just such concerns,” the letter said. Chinese media is almost entirely state-run and heavily censored, while the country maintains strict limits on the presence and ability of foreign outlets to report and travel in the country. Another state outlet, China Daily, has registered under FARA through its U.S. distribution company. The newspaper has been aggressively seeking to boost its presence in the U.S. through newsstand sales and inserts in the Washington Post and other American newspapers. 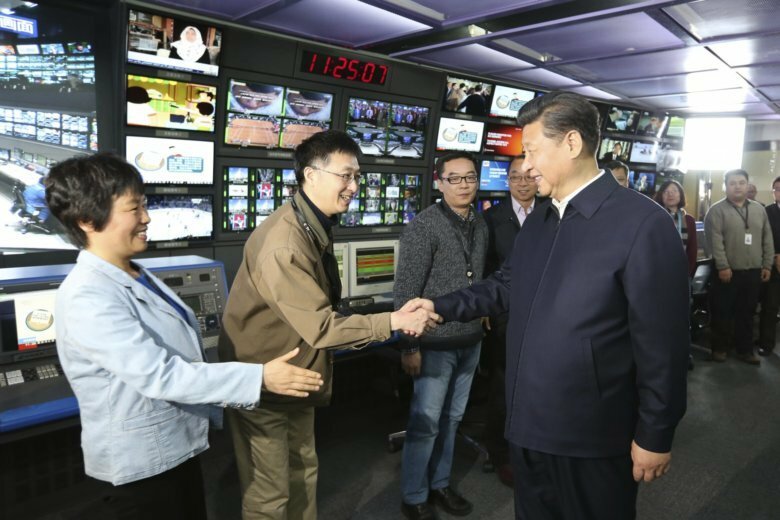 CGTN and other Chinese news organizations have also been rapidly expanding their foreign presences. Spokesmen for Xinhua and CGTN could not immediately be contacted for comment.